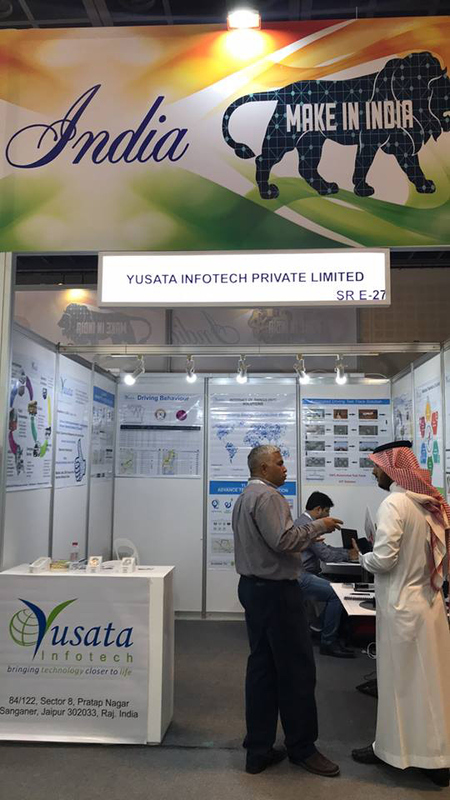 We, Yusata Infotech, participated in GITEX Technology week, from 8 Oct-12 Oct, 2017 with a booth # SR-E 27, and had visitors from all over the world. During the event, we had majority visitors from Middle East countries and inquiries for the innovative Smart Bluetooth padlock, YKe. Some interesting discussions held with visitors from Dubai, Middle East, Jordan, Iran and India. GITEX Show is one of the leading Global IT Exhibition held every year in Dubai. GITEX Technology week has been a good PR activity for Yusata as GITEX Technology week has always been a game-changing event, being the world's fastest growing technology hub. Yusata show-cased products and solutions related to Telematics solution and IOT domain, majorly ELD solution, Video Analytics, and Smart Bluetooth Padlock, to support multiple industries, with major focus on transport and logistics industry. Our company's strength is providing solutions in the different sectors like Transportation, Delivery and Dispatch, Service, Courier, Education, and Government Sector. The event has been a good opportunity for Yusata Infotech to experience and show-case the collection of different services of Yusata. We wish to participate in the event again and congratulate the organizer, exhibitors and visitors a successful year ahead. We would like to thank our delegates for making their presence at our booth in GITEX Technology Week 2017, Dubai .